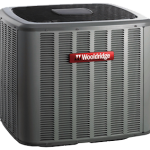 Wooldridge Heating Air and Electrical stands behind all of the products we sell. We provide and install only the best equipment to meet your needs. And we provide free estimates on all of the products and equipment we carry. We properly match and install your Wooldridge brand equipment to provide you with the highest efficiency performance. You can be assured your Wooldridge equipment will provide you with quiet cooling and heating all year long. You also receive outstanding warranty protection. In addition to the Wooldridge brand, we now carry American Standard. Quiet operation and customizable heating and humidity controls make the American Standard heat pumps an ideal choice for your home. Don’t let winter weather and summer scorchers sneak up on you and your family. Invest in a heat pump and enjoy year-long comfort today. 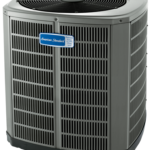 Mitsubishi is the industry leader in ductless air conditioning and heating units. These Energy Star systems offer dramatic energy savings, and are environmentally friendly. 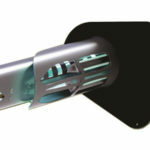 They also have advanced filtration systems to dramatically reduce allergens and eliminate odors. To learn more visit, www.mitsubishicomfort.com. Installing a General Aire Whole House Humidifier can help maintain constant humidification levels in your home. Doing so can reduce allergy and asthma symptoms, minimize risk of infection, protect valuables (such as furniture, woodwork, and musical instruments), and save you money! To learn more, visitwww.generalfilters.com. When you purchase a Burnham boiler, you are getting the best in comfort, durability, and safety. We offer gas and oil-fired boilers, in a variety of Energy Star certified models. Burnham boilers are made in the USA, and we can get just the right product to fit your needs. To learn more, visit www.usboiler.net. Precision engineering and true craftsmanship make Armstrong Air oil furnaces the smart choice for homeowners. Since 1928, Armstrong has been using durable materials and brilliant technology throughout their line. To learn more, visit www.armstrongair.com. RGF Guardian Air EME technologies installs in your HVAC system; when your system turns on it produces Ionized Hydro-Peroxide molecules, which is distributed to every cubic foot of air in your home. The system breaks down and destroys bacteria, viruses, mold spores, VOCs and odors. It also passes a charge off to all dust, dander, pollen and particulates in the air, which causes them to stick together and be more easily removed.